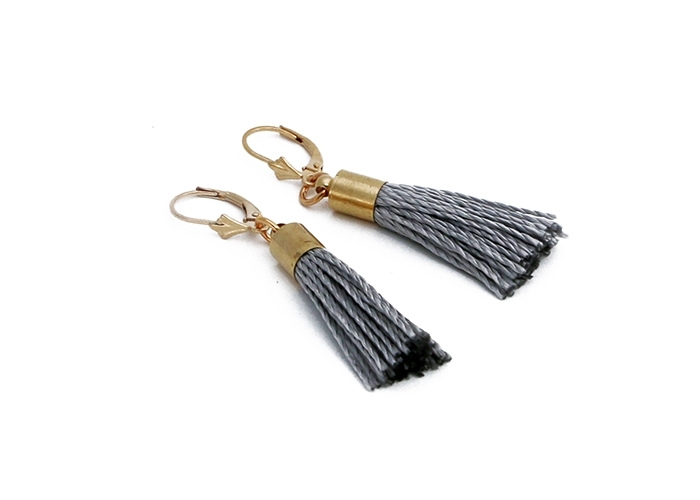 Small grey twisted silk tassel earrings are made of silk strands that flow gently from a gold plated sterling silver levered ear hook. The tassel is 1.25" and the total length is 2". 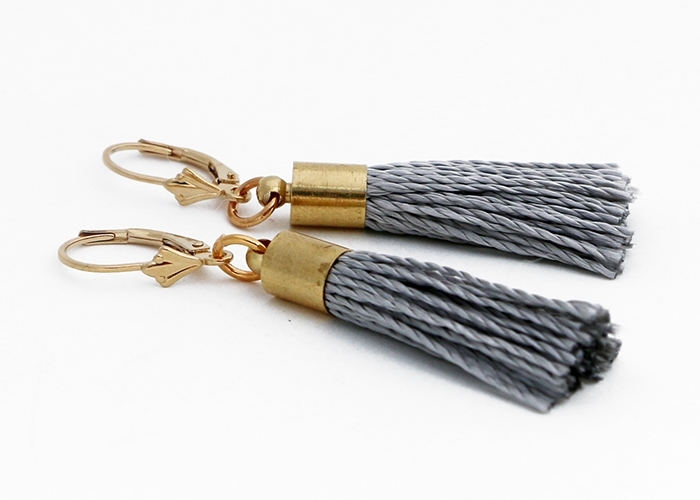 The Silk Tassel Earring is a dynamic addition to your summer wardrobe. This pair is unique and original.